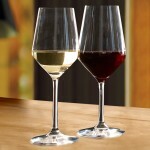 Stolzle Revolution Power Wine 6 Stems (P/N F 377/01). 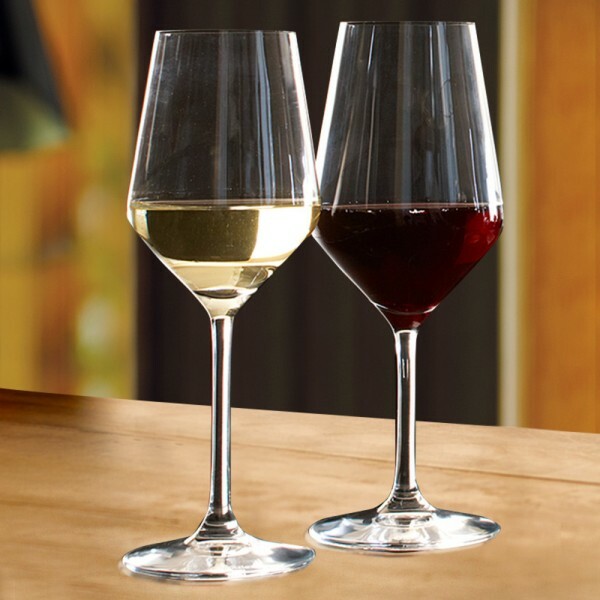 Shown on the right with red wine, the straight conical shape characterizes these Stolzle Revolutoin glasses. The stem and bottom are compressed on each other, and the blown bowl is melted on the stem. Please note: Engraving requires a minimum order of 100 glasses. The series Revolution was designed to highlight elements such as acidity, maturity, tanning, viscosity, and the bouquet of the wine.